Can you believe we are almost to the middle of summer break? It seems like just last week that we were having the end of the school year activities and making a list of summer things we wanted to accomplish. One of the things on that list was some school activities that would help the kids stay sharp and ready for the next school year. But if you’re like me (and most of the other Moms I know) those plans to do school work have been long forgotten. Here are a few ways to sneak in summer learning that are pretty much guaranteed to fit any lifestyle. Learning and staying sharp does not always require sitting at a desk or opening a textbook. There are many ways you can sneak in some basic education skills just by doing what you are already doing this summer. Math is a skill that really needs to be practiced all summer long, but in all honesty, the kids get tired of doing the same computer programs or math sheets that they do during the school year. Teach them some real life math skills at the grocery store. Have them practice rounding up each item and challenge them to keep a running total in their head while you are buying the groceries. Make it a game to see who gets the closest to the actual total. Don’t let your family get stuck in a rut of doing nothing but swimming in the backyard or playing electronic video games. Take a road trip to a local historical site. You can learn about Daniel Boone or Abraham Lincoln by driving less than an hour away. Drive over to the Kentucky Coal Museum in Eastern Kentucky or tour the Kentucky Historical Society Museum in Frankfort. Everyone learns better when they experience history instead of just reading about it in a textbook. Do your kids need to work on their handwriting? Don’t make them write out boring facts or do worksheets. Have them make up a checklist for the things they want to do in the next few weeks. Let them create a July Journal. 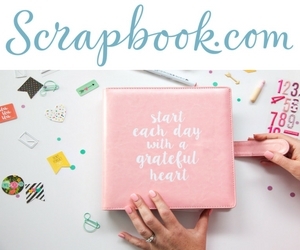 You can buy a cheap notebook or journal from the dollar stores and give them daily prompts. For bonus practice, have them help make the grocery list each week. If you are going to spend any time in the vehicle traveling this next month, stop by the library first and check out an audiobook. You can all enjoy listening to Chronicles of Narnia or a Harry Potter audiobook while passing the miles. Even young children can learn to follow long story lines as long as you take a few minutes periodically to stop and catch them up. It’s amazing how a young child will develop the ability to retain information from a book even though it’s technically above their level. What happens when you mix vinegar and baking soda? What color will the concoction be if you mix ketchup, mustard and lemonade? Let the kids figure these things out. Sometimes they just need to be given permission to experiment. Let them have some safe ingredients and then turn them loose with some measuring spoons, mixing bowls, some random medicine droppers and a turkey baster. They may make a huge mess, but they will be learning Science while having a ball. Kids love to make loud noises. So pull out the musical instruments that are gathering dust in your closet or under your bed and give the kids permission to experiment with a new instrument. They may not be able to get any sound out of the old trumpet or flute from your high school days, but they will be exposed to the instruments and may develop an interest for the next school year. How are you encouraging learning this Summer? I’d love to hear!